Apple computers don’t use monitors with the touch layer. It is a conscious decision maker who decided to abandon the renovation of the macOS interface. Moving Windows around the screen MacBook or 27-inch iMac display not very convenient, but the information space of display panel is used it is extremely inefficient. But in some cases, the ability of touch control would be out of place, at least in cases when you do not want to pull the hand to the touchpad to make a single press. 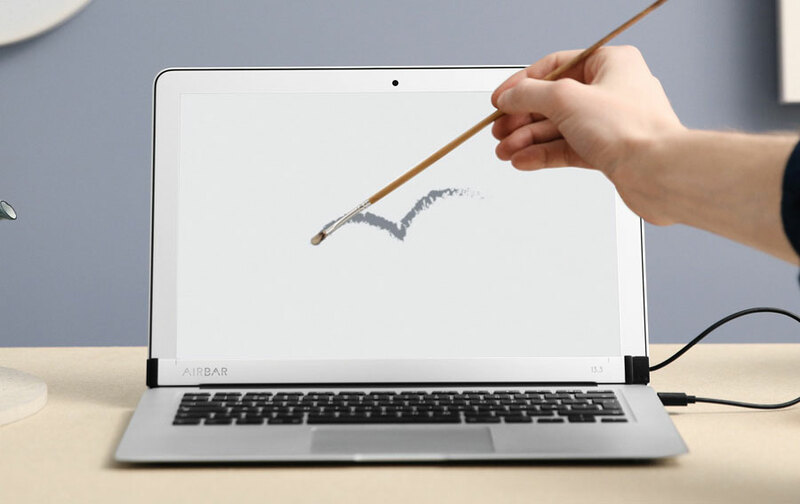 Your Swedish company that created the device for touch input AirBar, has announced a special version of the gadget for Apple laptops. Device connected to USB port, compatible with 13-inch MacBook Air, running macOS. The device does not require installation or configuration of any software. AirBar looks like a small thin strip of silver. It is easily fixed on the bottom of the MacBook Air and hardly stands out against the background of the system, except that the small flat cable at the side. It is sufficient to place the product at the bottom of the laptop screen and connect to a USB port to give it a touch input. For fixing the AirBar uses magnetic fastening. Because input using optical principle, possible to enter with gloves and not with your hand, and objects. Neonod will be shown AirBar for MacBook Air at CES 2017, which will be held in Las Vegas from 5 to 8 January. Visitors will have the opportunity to try how good the new work. 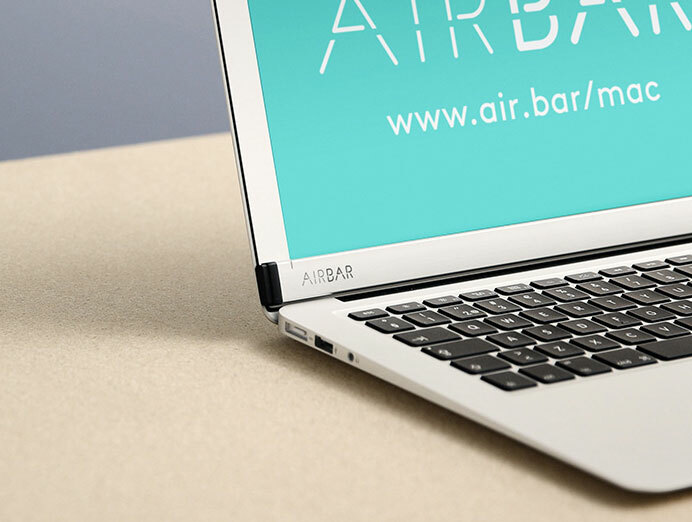 The first batch of AirBar, designed for Apple laptops will go on sale in March this year for $99.